There are several reasons why mold, especially in the HVAC air ducts, is a serious problem. It is a potent allergen and smells awful. Furthermore, it is extremely stubborn and tends to regrow fairly quickly. Given all this, you must do what is needed to protect the ductwork from this fungus, even if you’ve just taken advantage of air duct cleaning and sanitizing. Since up to a third of all the air in the HVAC system can be lost through leaks, you can only imagine what can get inside through them. Yes, you guessed it - moisture and mold spores. With leaks in the system, you may never get rid of the fungus. That is why they must be identified and seal. They are usually found around the connections of two sections and where the ducts meet the registers and vents. 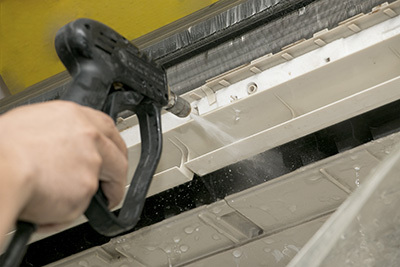 It is essential for high-quality sealing materials to be used for this kind of air duct repair. Mastic sealant is regarded to be the best choice followed closely by metal tape. It is a mistake to use common duct tape for sealing air duct leaks. It is ineffective and doesn’t last long. In addition to making the HVAC system more energy-efficient, insulation can help to prevent condensation inside the ductwork, especially in parts of the house where the surrounding air is much colder than that found inside. When the surfaces are dry, the risk of mold growth will be much lower. The ideal insulating material naturally comes with a high R-value. It is equally important for it to be durable and resistant to damage. This is because when the material gets wet and disintegrates the problem may spread to the ductwork itself. Sometimes, the only solution to this problem is air duct replacement. This type of device is especially designed to combat mold and other types of microbial growth in areas where there is no natural light. It uses a special lamp which emits ultraviolet light at a very low frequency. The light literally slashes the spores and prevents growth. Since a single-lamp UV cleanser can cover a very large area, it is typically sufficient for a residential HVAC system. 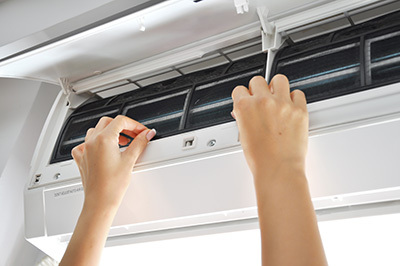 Additionally, the device does not require any special care so you should not worry about having to include it in the HVAC maintenance routine.